Sa Fortaleza has been considered on some occasion as the most expensive mansion in Spain. In 2008, just before the crisis, it was sold for 125 million €. 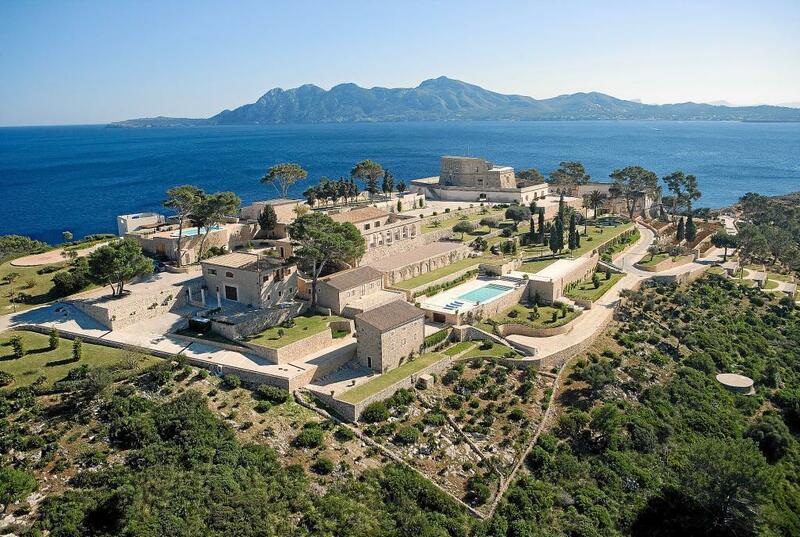 At that time, the London real estate agency Private Office and office of Engel & Völkers in Pollença (Mallorca) – the agencies offering the property- estimated it was only within the reach of a thousand people of the world. Some years later in 2011, it was sold again. British millionaire James Lupton paid between 30 and 35 million pounds, some 40 million € according to the newspaper Última Hora. Now it is rented for events, fiestas and for the filming of the excellent series. 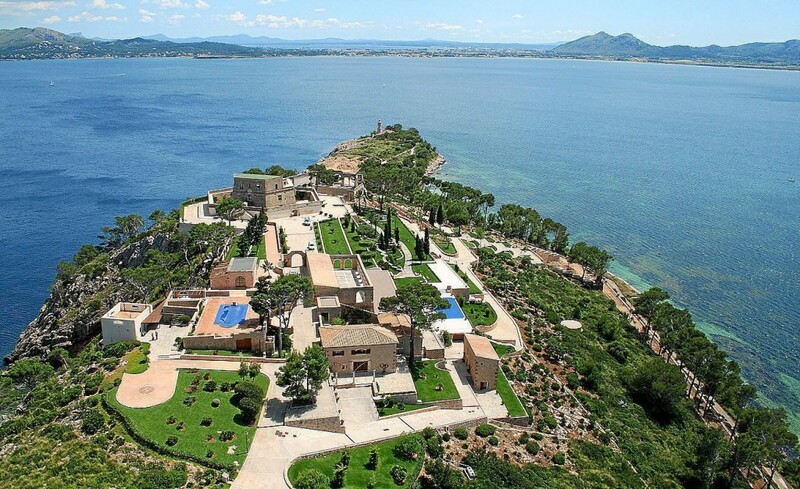 The model Helen Lindes married the basketball player Rudy Fernández at the property and in February 2015, the British Conservative Party raffled a visit to the complex La Fortalesa de Pollença to raise party funds. Despite ‘being on the market’ for the shooting of films, publicity and festive events, a certain secretiveness surrounds the property. The real estate agencies such as Kühn & Partner, deny authorisation to publish photos which they hold, and which are on several pages on their website, and the local tourism office has no details on visiting the place, although some media report it is opened four days a year – with no photos. In reality, Sa Fortaleza is not a house, but a village, situated on a plot of land of 87,350 square metres, with 1,427 square metres of terraces and 1,100 square metres of gardens, private beaches, and a heliport; in total seven houses and 17 bedrooms. This fortification was constructed in 1628 to defend the peninsular from Pollença from the incursions of the Berbers. It is found in Predio de Albercuitx in the bay of Pollença Port (Mallorca). The Argentinean artist Roberto Ramauge purchased it in 1919 for 45.000 pesetas and turned it into a meeting place for the vanguard painters of the time such as Sorolla, Anglada Camarassa, Andrés Segovia and others. During the Civil War it was expropriated and only some three decades later did it return to private hands.